Since civilization began, we’ve been telling each other some form of folk story or fairy tale. These stories continue to capture our imaginations, and, if the massively-successful movie Frozen, and the excitement around the forthcoming star-packed The Huntsman: Winter’s War, are anything to go by, our fascination with fairy tales looks set to stick around. The magic of fairy tales doesn’t just lie in their romantic landscapes, towering castles, and timeless themes of good against evil. The best fairy tales are always populated with compelling and memorable characters – like the rags-to-riches princess, the gallant prince on horseback set to save the day, or the jealous and lonely evil king or queen – whose universal emotions and experiences we can’t help but identify with. Which famous fairy tale character do you think you’re most like? 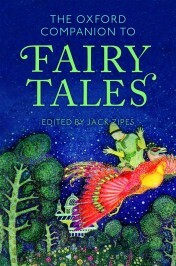 Using the most recent edition of the Oxford Companion to Fairy Tales, we’ve put together a quiz to help you find out. Featured image and quiz background image credit: ‘Painting by Mikalojus Konstantinas Čiurlionis.’ Public domain via Wikimedia Commons. Quiz outcome image credits: ‘Elena Ringo’s Illustration of the Snow Queen by H.C. Andersen’. CC BY 3.0 via Wikimedia Commons; ‘Aschenputtel; Darstellung von Alexander Zick (1845 – 1907)’. Public domain via Wikimedia Commons; ‘Cinderella and the Fairy Godmother by William Henry Margetson’. Public domain via Wikimedia Commons; ‘Illustration for Beauty and the Beast.’ Public domain via Wikimedia Commons; ‘Couverture des Contes du temps passé de 1843.’ Public domain via Wikimedia Commons; ‘Peter Pan playing the Pipes.’ Public domain via Wikimedia Commons; ‘Pinocchio by Enrico Mazzanti.’ Public domain via Wikimedia Commons. Discover the new edition of the Oxford Companion to Fairy Tales either online or in print. This quiz has been created by the Oxford Reference marketing team.